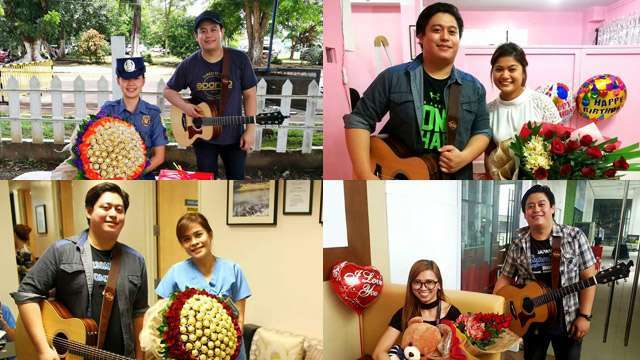 In a world filled with Youtube links and Spotify playlists, how does the old-school harana fare? Nowadays, when you want to express your feelings for someone, the easiest way to do that is through music. How? Just send a Youtube link or a Spotify playlist to the object of your affection. That should communicate your emotions clearly. But if you want to be more romantic, you need to call on the services of Adrian De Guzman. Adrian is a musician by profession. 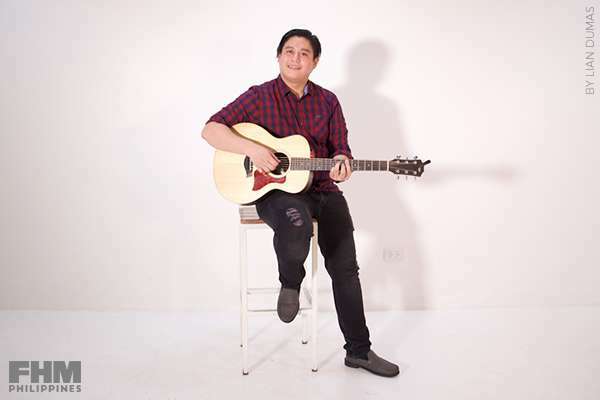 Armed with a soulful voice and superb guitar skills, he turned his passion for music into an actual career. But instead of seeing him strumming his guitar inside neon-lit bars, you’ll normally see him inside corporate offices, in front of houses, or even on our city's streets. Adrian, you see, is a modern-day haranista. If you thought that the art of harana was long gone and merely a pop song by Parokya ni Edgar, think again. 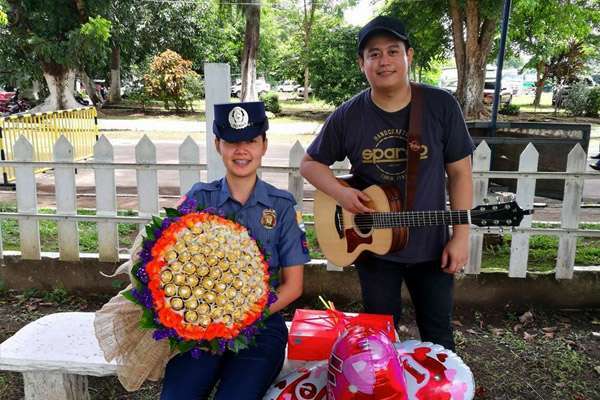 As it turns out, serenading in the Philippines is alive and in tune with the times. As a haranista, Adrian is paid to sing love songs. 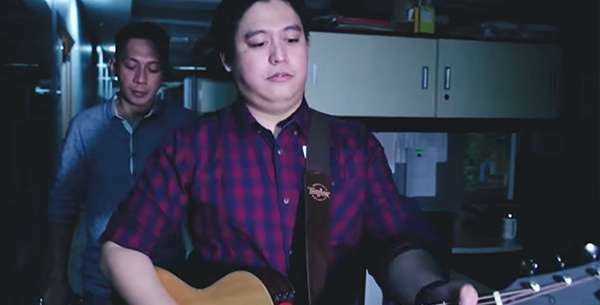 The only difference is that, instead of the old-school harana that happens at night under the window of a lady’s house, Adrian usually plays in broad daylight and in various locations nationwide. Growing up in a family of musicians, Adrian learned how to play the piano and guitar at a very young age. Luckily, he can also carry a tune. But before becoming a haranista, Adrian, just like the typical ‘90s kids, was a rocker at heart. Complete with emo bangs, vintage band shirts, and black eyeliner, he admired the likes of Wolfgang and the Eraserheads. But even after being rejected numerous times, he never lost the fire for his craft. After switching to acoustic, Adrian landed consistent gigs. He started performing in bars and restaurants. The demand was so high that, from a solo act, he moved on to singing with a group called the Flumia Acoustic. The 32-year-old musician started a sound system rental business with his friends using the money he earned from gigs. But he still wasn't satisfied. 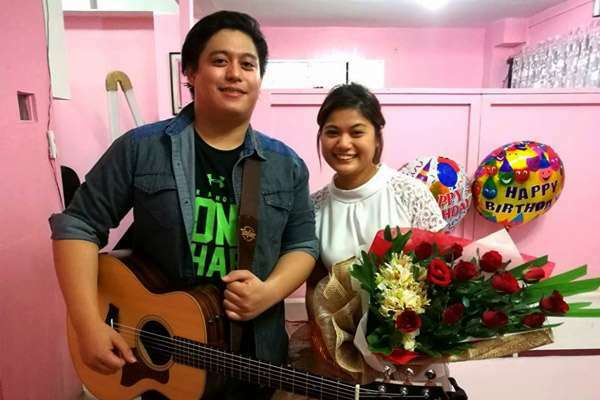 One day, his bandmate, Dave Arcangeles, discovered that an online shop called Flowers For Maria Clara was looking for a haranista. He applied and got the job. That was two years ago—the start of his haranista life. A harana rate usually starts at around P4,000. Clients can request two songs in English or Tagalog. 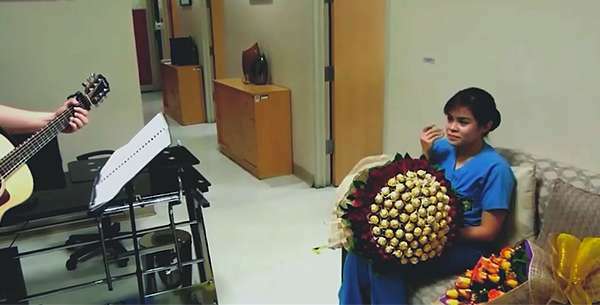 The package also comes with a bouquet of flowers or a box of chocolates, plus a same-day video edit. Of course, a special kilig message is also included, which he sometimes reads if the client who hired them is not physically with them. Of course, not all serenading gigs end up with rainbows and butterflies; there are instances when their suave moves don't work at all. But unlike the old school harana days, this time around, there’s no buhusan-ng-tubig-sa-labas-ng-bintana. But those unhappy harana cases are rare. 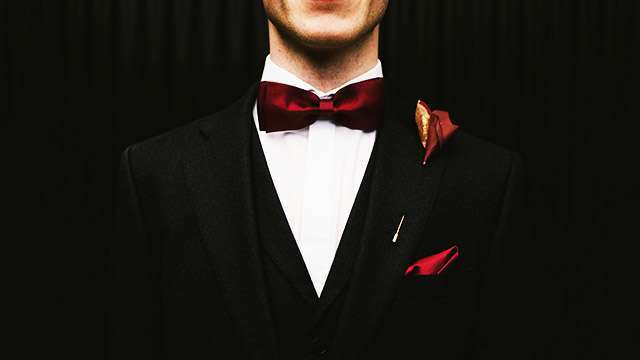 Most of the time, clients can't help but wear a smile on their faces when they are being serenaded. The demand for modern-day haranistas like Adrian just proves that romanticism is timeless. For him, it’s not just work, he he has found his calling—to preserve a rich, Filipino tradition that celebrated the language of love.